Ready for another scrumptious hot dog recipe? Coney Island hot dogs are really tasty! After a little prep work, you throw everything in your crock pot for a couple of hours and you are ready to go. When you team up ground beef, hot dogs, cheese, and onions, you are set for one delicious bite after another. This would be another great hot dog to serve on Labor Day weekend! You can eat some chips and salsa, drink a Peaches & Cream, and relax while the crock pot does the work! 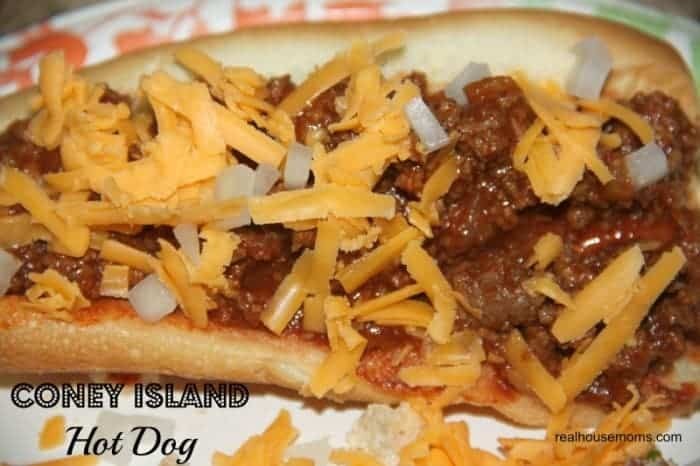 Coney Island Hot Dogs are a fun way to eat hot dogs! Your family will love them.